During the school year, JHS (Junior High Students) in Grades 7-9 meet weekly at FAC for worship, teaching, and small groups. Also watch for special events to invite friends to! Join us Wednesdays, 7:00-9:00 pm upstairs in the Discovery Theatre (south end of building)! Follow us on Instagram for the latest news: @jhstudents. As young teens shift from concrete to abstract thinking and pursue a deeper understanding of faith, they adopt more fixed or firm beliefs—they discover the power of conviction. We’re moving from a faith based on what we’ve been taught to a personal faith that is sorted out for ourselves to own. Knowing what we really believe is essential as a follower of Jesus! 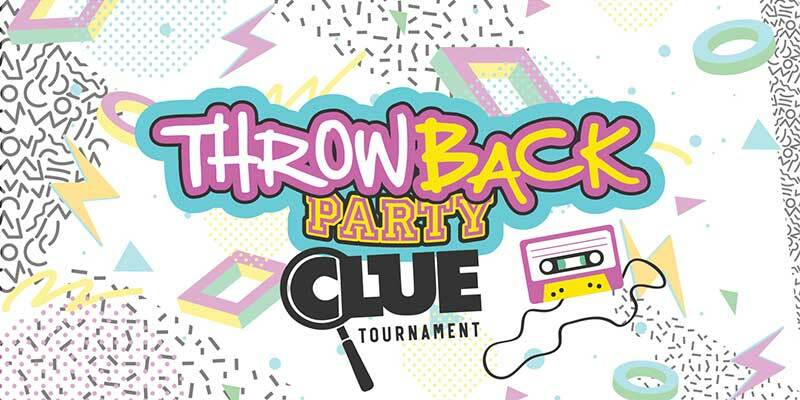 Invite a friend to join you for our 80’s themed night featuring a giant CLUE game! Courage means having confidence to handle various challenges that come our way. Teens face countless challenges, difficulties, danger, and pain during middle school years. This lesson will help your junior highers develop their courage so they can face whatever comes their way and experience how Jesus gives them the strength to be bold when they need it. A person filled with compassion is a person who deeply cares about people who are in need or are suffering, and whose concern leads to action. Jesus calls His followers to be compassionate – just as God the Father is compassionate. See how Jesus calls us toward a lifestyle defined by compassion.